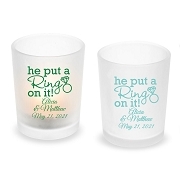 You are getting married and your guests are ready to celebrate on your big day! 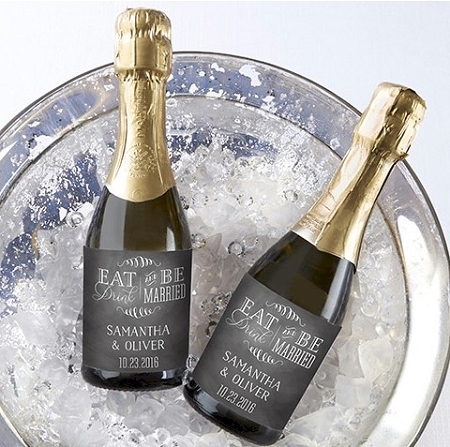 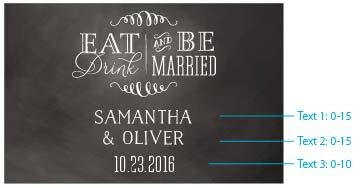 With Kate Aspen's Personalized Eat, Drink, & Be Married Mini Wine Bottle Labels, you can give each guest their own memento of your night with a custom message. 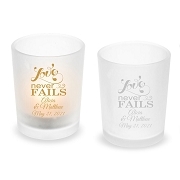 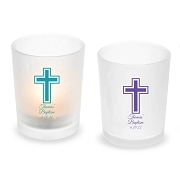 Whether displayed in a basket as guests arrive to your reception or displayed at every place setting, your guests will be thankful to eat, drink, and for you to be married!